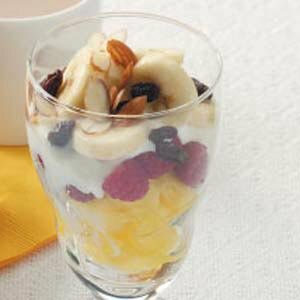 In four parfait glasses or serving dishes, layer the pineapple, raspberries, yogurt, banana and dates. Sprinkle with almonds. Serve immediately. Makes 4 servings.